To create a local domain, you need a Windows Server operating system (yes, of course you can set up a Linux server, too, but this is Windows 10 Forums! ). It can be installed on physical hardware with quite modest specifications, or on a virtual machine. Naturally, to guarantee that your domain and Active Directory which controls and manages the users and computers on your domain function, the server should be always on, up and running. This tutorial will show you how to do this. When done, your users and computers can join your own local domain. If your home computers have a Home edition of any Windows version, they cannot join a domain. Click or tap screenshots in this tutorial to pop out them, click / tap again to enlarge. 2.3) Change the computer name to something easier to remember and recognize. In this example I changed the name to TenForumsServer. Remember to restart after computer name change! 2.4) Set a static IP address for server. Select an IP outside the DHCP IP pool your router uses to assign dynamic IP addresses. A domain name as we have been used to see on Internet consists of subdomain (optional), domain and TLD (top level domain). They are separated with a dot. For example in domain name www.myownwebsite.com, the www is the subdomain, myownwebsite domain and com the TLD. My favourite news site from my native Finland is http://www.yle.fi, again the subdomain being www, the domain itself yle and the TLD the country code for Finland fi. Their on-demand TV I can find from http://areena.yle.fi where areena is subdomain, yle the domain and again fi as TLD. In naming local domains the subdomain can be used but is mostly left out as unnecessary. The local domain suffix can be almost anything you'd like to, important to remember is not to use any reserved top level domain suffixes like .com, .org, .net or the country TLDs like .co.uk, .fi, .fr and so on. TLD suffixes commonly used in local domains are for instance .loc and .local. My home domain is called agm.home, I'm used to name my home network domains with suffix .home but as it might happen that it will be registered as an available TLD for Internet, I need to rethink that and rename my domain. A local domain prefix (domain name) should be max 15 characters; if any longer, Windows Server uses the first 15 characters of it as so called NetBIOS name. The prefix may only contain letters A-Z, a-z, numbers 0-9 and one or more hyphens. It must contain at least one letter, a domain prefix containing numbers only is not allowed. Your domain is set up and running. Now you can join your devices to the domain. Managing users and computers, group policies and much more in future tutorials and videos. Very good Kari. :) Your instructions are always precise and easy to follow. My goal was to make it as simple as possible to follow without any knowledge about the subject, even when it meant a lot of screenshots, to make sure that someone who has never installed a server OS or set up a domain can manage it. You should make sure to mention that, while the technical preview is free... it won't remain so. Some people might have a rude awakening to find out they have to pay several hundred dollars to keep their network running. Great post! Thank you for these detailed instructions. I got to step 4.11 - 4.13. 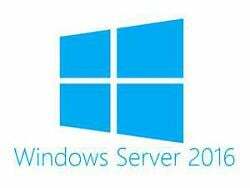 I am running Windows Server 2016 as a VM in VM Workstation 12 Pro. Before I made these changes, I had internet access. My VM Network Adapter is set to NAT. I'm now connected to my new domain and I've changed the Preferred DNS address back to my router's IP address, but I'm still showing "No Internet access" and I have the yellow warning on my network connection. Any suggestions? I've restarted the vm and the main machine with no luck.